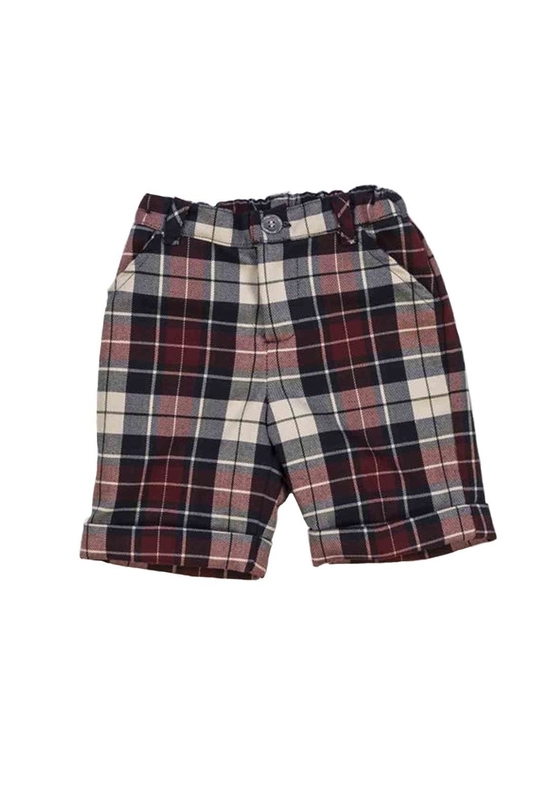 Beautiful Malvi & Co. bordeaux and navy tartan shorts with turned up hem. Decorative jet style pocket detail on the back. Half elasticated waistband and zip fly and button fastening. Shorts have functional side pockets.